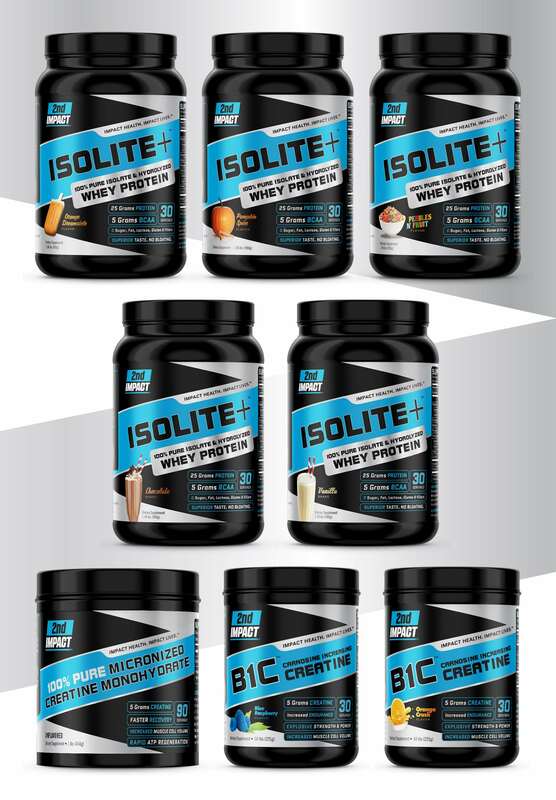 2nd Impact is a St. Louis, Missouri based supplement and nutrition company that produces a superior line of Whey Protein and Creatine products. They use the most expensive, highest grade ingredients to produce a premium line of supplements. They initially came to Visual Lure for a logo, and after completion of that, they immediately engaged us to design all their packaging. See the progression of the logo and packaging below. Click here to view our entire package design portfolio, or click here to learn more about our packaging design services. For a package design quote, please call 618.407.9231 or email us at info@visuallure.com.